For people who like to live minimally, burdened by few possessions, furniture presents the biggest roadblock to getting the lifestyle they want while still inhabiting a livable, enjoyable space. Convertible furniture like modular sofas or futons help provide solutions through multiple uses, while items like beanbag chairs are versatile and can fit in plenty of spaces where conventional furniture may not. But at the end of the day, we need to get sleep, and for most people, that comes in the form of a mattress. Some take minimal living to an extreme, with alternative sleeping methods, such as hammocks, air mattresses, or even makeshift cots on the floor. This doesn't work for everyone though, and most people end up needing a mattress to get their best sleep, regardless of what their aesthetic preferences may be. Fortunately for these people, while the mattress is generally going to be inflexible in terms of customization, the framework and supports that hold it can be tailored. 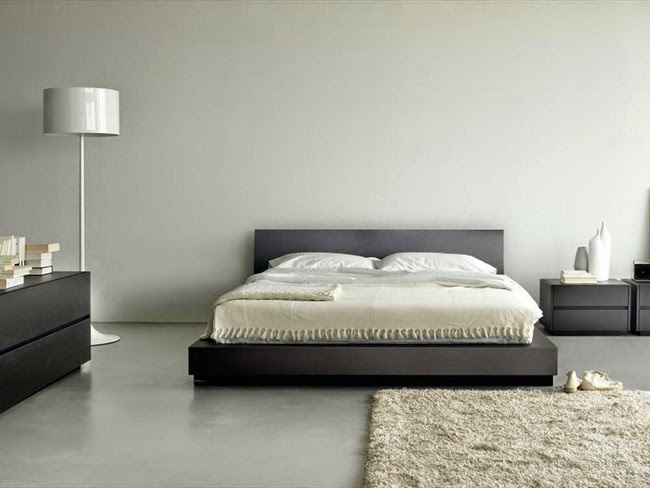 And for those who want that minimalist, clean look, platform beds are the right fit. Unlike major frameworks like captain's beds or canopy beds, platform beds extend barely beyond the the mattress itself, making it as minimally invasive as you can get, short of placing the mattress on the floor (which isn't suggested for health reasons). Built from little more than supports and a flat frame to hold the mattress, platform beds are easily customizable. They can be made to stand as high or low off the ground as you like for storage, and are rarely wider than the mattress itself, making the most of the space you have in your room. When you want to maximize your space and minimize clutter, bedrooms often pose a problem. But with platform beds, you can find the most low-key setup that still gets you great sleep. Article submitted by The Foam Factory, an online source of custom bedding and comfort products, from custom-cut mattresses, to toppers, to latex foam pillow and wedge products.